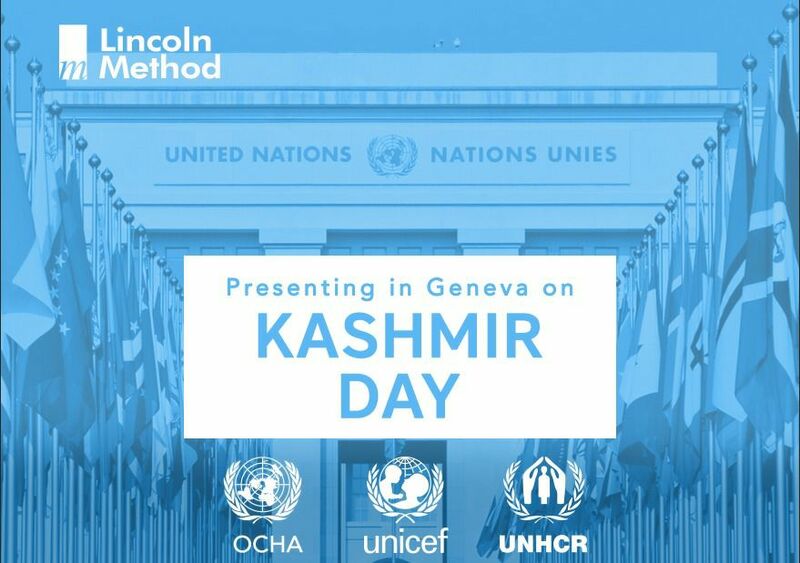 GENEVA, Switzerland - May 16, 2018 - PRLog -- This KASHMIR DAY, Lincoln Method presented QUALITY EDUCATION in Geneva as a part of the UN's Global Goals #4, Quality Education. Lincoln Method is a proud Goalkeeper of the UN's Sustainable Development Goal #4, which endorses Quality Education. Achieving inclusive and quality education for all reaffirms the belief that education is one of the most powerful and proven vehicles for sustainable development. Being one of the few institutions that is promoting digital education in Pakistan, Lincoln Method is promoting affordable, reliable and context-sensitive digital education, with equal opportunities for students and reduce inequalities by ensuring every child has access to high quality content. Digital education technologies improves fundamental skills such as collaboration, problem solving and global awareness.